These lands have been described as “the last great wood basket” not committed to pulp companies (Matt Miller, cited in Ralph Surette: Natural Resources torn between conservation and clearcutting (Sep, 2014). The Western Crown Lands are essentially Ground Zero in the struggle to retain some semblance of our Acadian forest for future generations and wildlife, as we have clearcut most of the crown land that can be cut and a lot of the private land in the rest of the province. Many Nova Scotians were elated when their government announced on Dec 12, 2012 that it had acquired all of the Bowater lands for sale in the province, which followed closure of the Bowater Mill in western Nova Scotia in June of 2012. “This is an extraordinary day for Nova Scotia”, said Chris Miller of CPAWS (Canadian Parks and Wilderness Society). “An important resource has been acquired, creating opportunities both for conservation and a sustainable forest industry.” See CPAWS welcomes Bowater land purchase in Nova Scotia. 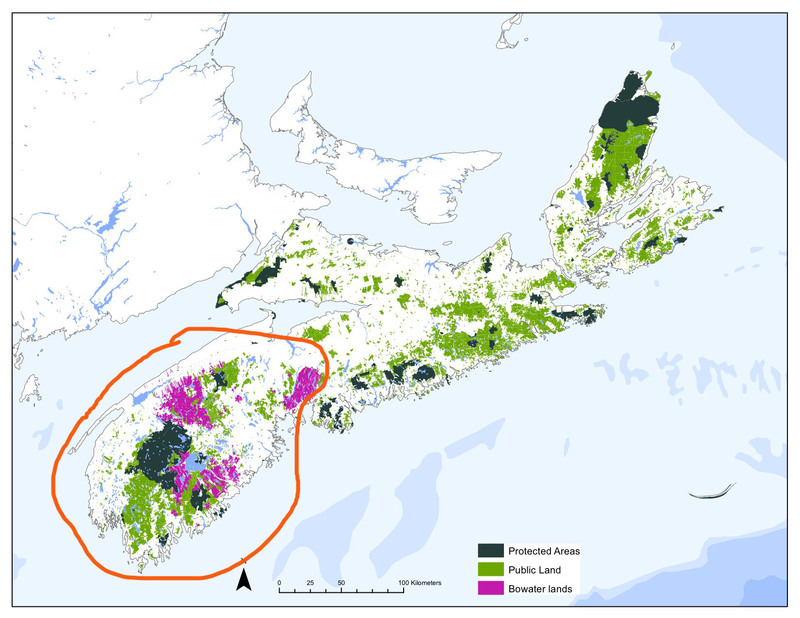 A Western Crown Lands Consultation was set up in late 2012 which fed into A conceptual plan for Western Nova Scotia, drafted in March 2013 and updated in 2014 and 2015. Guidelines for Biodiversity-Rich Landscapes under the Western Crown Lands Conceptual Plan were released in July of 2015. It turned out, not to everyone’s complete surprise, that the community forest component was dwarfed by agreements with big industry beginning, apparently, with secretly negotiated increases in the allocations of Crown land for Northern Pulp including access to the Western Crown Lands. (A CBC radio interview with Matt Miller provides some further context.) On Oct 9, 2014, the government announced its forestry plan for the western Crown lands and released 10-year fibre allocations for the lands. By Nov 5, 2015, a newly formed Nova Scotia mill consortium, WestFor, was set to begin cutting on 566,000 hectares. So the agreements gave big industry 10 years to get all it can, but only 3 years and a very limited land base for the community forest project to get up and running. There were some hiccups in this furious race to sign agreements and begin cutting western Nova Scotia before the public took notice. Then EAC discovered (Sept 10, 2014) that the government allowed clearcutting on an environmentally sensitive area of the recently acquired Bowater Mersey lands. This resulted in a review of the incident, and a report was issued in January of 2015. (There has been other followup- see Panuke.) The report included a recommendation for government to expand FSC certification to all Crown lands in the province. 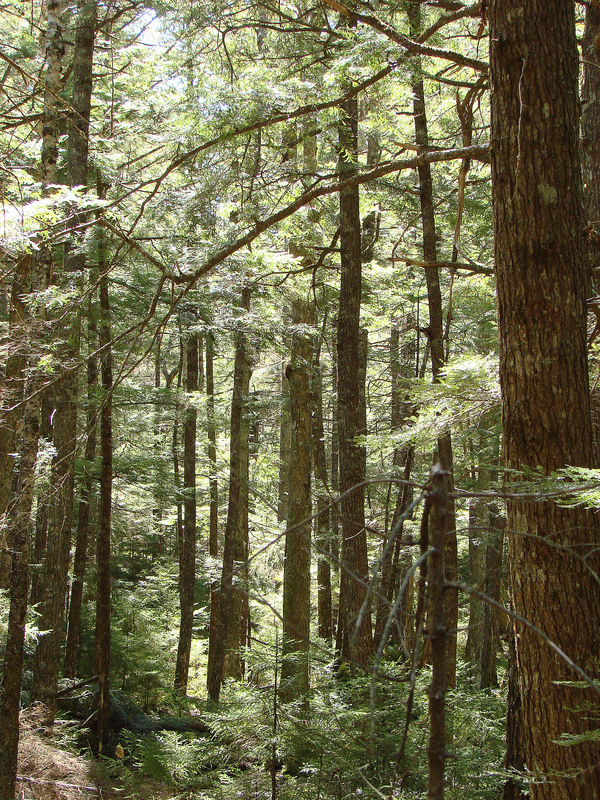 The government said it would maintain and expand FSC certification on publicly owned Crown lands, acknowledging FSC as the “gold standard” for forest certification. But on March 1, 2016, the government did a complete flip-flop on FSC certification, adopting instead the much weaker Sustainable Forestry Initiative (SFI) certification system. Is this the future of forestry in Nova Scotia: value added products from degraded forests? Interestingly (the lightest way it could be described), the Natural Resources Strategy Progress Report highlighted the Community Forest, but failed to mention the massive harvest planned for Western Crown Lands and other industrial forest priorities of the government designed to make use of degraded forests. Could the detractors be blamed for calling it all a “Forest Tragedy“?